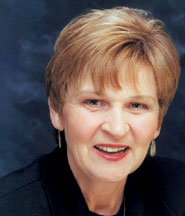 Linda Strom is co-founder of Discipleship Unlimited, a ministry that equips people to reach out to the broken hearted. 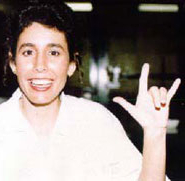 Her book “Karla Faye Tucker: Set Free”, was published in July 2000. Growing up with an alcoholic, abusive father and an emotionally unhealthy mother, Linda has known first hand the reality of “beauty for ashes”. During 25 years of ministry in churches and prisons throughout the United States, Linda’s heart has remained fixed on one goal: to share the life-changing love of God. She was the first woman executed in Texas in over 100 years and became an evangelist for Christ during her 14 year imprisonment on death row. Linda was Karla’s spiritual advisor and close friend for 11 years. 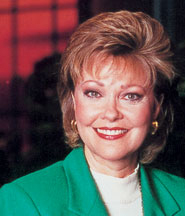 Terry Meeuwsen is co-host of The 700 Club, a large Christian TV station in the USA (currently on pay channel TV in SA). She was Miss USA in 1973 and sang with the New Christy Minstrels, one of the popular folk groups of the ‘60’s. She also hosted The Terry Meeuwsen Show, a talk show in the USA. Her background as a singer, broadcaster, Miss America and working mother makes her equally adept at either interviewing a Hollywood celebrity or working with kids on the Christian Broadcasting Network (CBN). 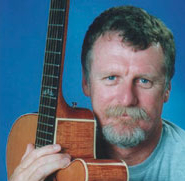 Andre has one of the most distinctive voices in South African music. Because so many powerful visuals have accompanied his songs through the medium of television and movie adverts over the years, his voice and music have been repeatedly imprinted on the minds of millions of South Africans. As a result, he has one of the most readily recognised voices in South Africa today. Andre’s songs are all written from the heart and he has ministered his music into the hearts of literally tens of thousands of South Africans across all church and denominational spectrums. At this conference Andre struck up a friendship with Linda and Terry which has led to him going into the US prisons with Linda on many occasions telling the story of God’s mercy to him and singing to them. Linda says that the prisoners absolutely love him and many have come to know Christ. He has also had some Thanksgiving dinners with Terry and her family.